Paul Evans, former head of marketing at Lynton Cooper, has set up a new sales and marketing representation company and has been appointed to represent two DMCs, Dragonfly Africa and Incent India in the UK market. Wowbean officially launches tomorrow, and Evans said he is in discussion with other potential clients and aims to build up a portfolio including both niche and mainstream products. Evans has spent the last six months researching the needs of corporate and agency event buyers. "There is clearly a space for a new take on representation," he said. "Both clients approached me looking for something new. They were keen to have someone from an agency background who has an in-depth understanding of how planners work and I will be putting all my marketing knowledge and techniques to good use on their behalf." 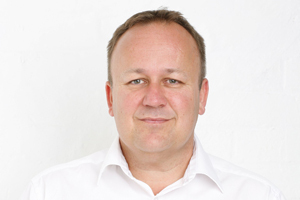 Dragonfly Africa CEO, Mike Waller said: "We're delighted to have Paul as part of the Dragonfly team. His experience and passion for South Africa is very evident and this will translate into a huge benefit for event agencies and planners when considering Southern Africa for their events."